Narrow strip of Paper/Plastic with Adhesive property to stick together used to hold or fasten materials. Tapes are widely used most Manufacturing, Automotive & Construction Industries. Thread seal tape (also known as PTFE tape or plumber's tape) is a polytetrafluoroethylene (PTFE) film for use in sealing pipe threads. 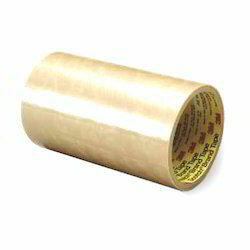 The tape is sold cut to specific widths and wound on a spool, making it easy to wind around pipe threads. 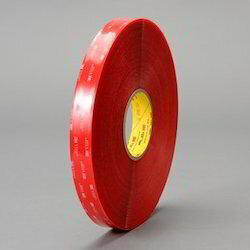 Best quality PTFE tapes available at ready stock with sizes ranging from 1/4" to 4". With the ever increasing focus on quality, we assure our customers of best possible products at good prices. 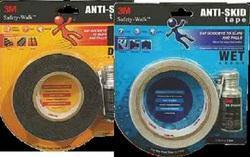 3M™ Safety-Walk™ Anti Skid Tapes are designed to enhance and maintain your home and offices with assurance of safety. Unique slip resistant materials that reduce the risk of slipping. Wet Surface applications: bathroom floor, bath tubs, kitchens, etc. Dry Surface applications: stairs, inclines, corridors, etc. 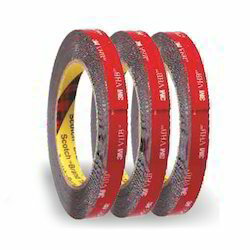 3M™ General Purpose Masking Tape 203 is a pressure-sensitive tape designed with a natural rubber adhesive and a crepe paper backing. This design allows for instant stick and reliable holding, making our General Purpose Masking Tape 203 an excellent solution for most general purpose and entry level paint applications. Masking tapes are used to protect the non repair areas of the vehicle from paint overspray and avoid the time consuming cleaning process. 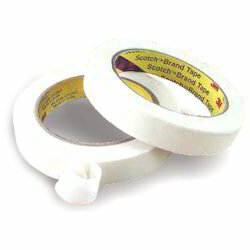 3MTM ScotchTM masking tape for carpenters and painters is a pressure sensitive tape used for wall and wood working. It comes with crepe paper backing with rubber adhesive on top for adhesion. 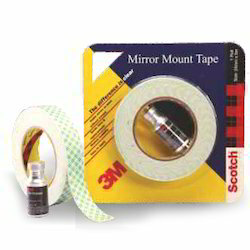 3MTM Fast Bond Tape is an thin double sided tape used for fixing various type of laminates including Acrylic, PVC and Wood. 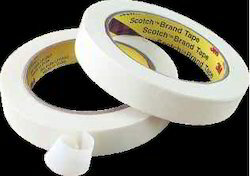 Fast Bond Tape can be used for laminate to laminate, laminate to Plywood and numerous other substrates. 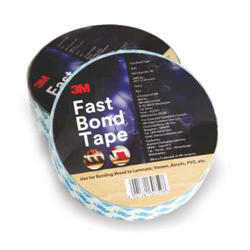 Fast Bond tape is an excellent replacement of conventional white adhesive to fix laminates. A great solution for use during refurbishment without removing old laminate (laminate to laminate application). 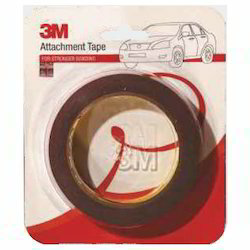 From the family of 3MTM VHBTMTapes, comes 3MTM General Purpose Bonding Tape, a very conformable, double-sided, pressure sensitive, closed cell acrylic foam tape with a PE film liner. Useful with multiple flexibility of materials - 1 substrate flexible OR both substrate flexible OR both substrate rigid. Very conformable foam with numerous general purpose applications. 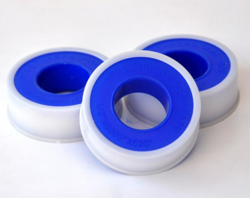 Can be easily used in applications subjected to vibrations e.g. elevators, cupboards, railways, etc. 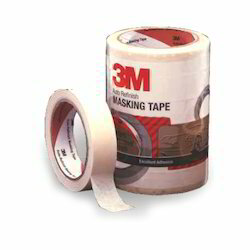 3M General Purpose Masking Tape that can be used for holding, bundling, sealing and a vast number of other jobs where a pressure-sensitive tape it needed. Heavy thickness crepe paper backing for good paint lines which is easy to tear and pressure sensitive. For holding, sealing, bundling, etc. From the family of 3MTM VHBTMTapes, comes 3MTM High Strength Bonding Tape, a very conformable, double-sided, pressure sensitive, closed cell acrylic foam tape with a PE film liner. Comes with adhesion promoter (primer 94) for better adhesion. Very conformable foam with numerous applications. Can be easily used in (3 applications subjected to vibrations e.g. elevators, cupboards, railways, etc. 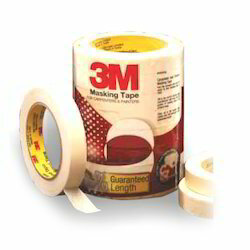 3M 2207 Protection Tape is made of highly conformable polyethylene film backing coated with synthetic rubber adhesive. This product is recommended for use on floors and other surfaces while painting and wood working. 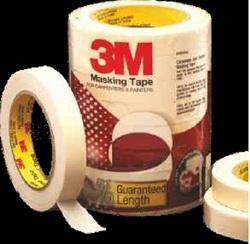 3MTM Acrylic foam tape is a medium-density, gray acrylic foam tape with acrylic adhesives. 3M acrylic foam tape is characterized by good peel and shear adhesion, high initial adhesion, good low temperature application performance. Typical applications would include side visor, wheel weight, spoiler, gas doors ornamentation, additional mirror, wind seal, personalization logo, etc. Useful with multiple flexibility of materials - 1 substrate OR both substrate flexible OR both substrate rigid. 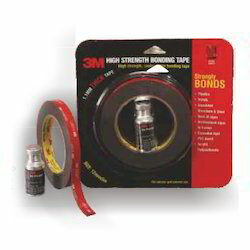 3M Very High Bond Tapes are high-strength bonding tapes and a proven alternative to screws, rivets, welds and other mechanical fasteners. Unlike screws or rivets – which join materials at a single point – high-strength bonding tape permanently adheres one substrate to another while spreading the stress load across the entire length of the joint. 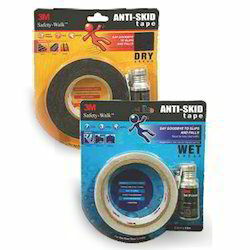 Once materials are joined with this tape a virtually indestructible “weld” is created.